The accommodations at De ZeeParel are all completely furnished and boast a very comfortable design, with high-quality finishes. You can select from a variety of different accommodation types. 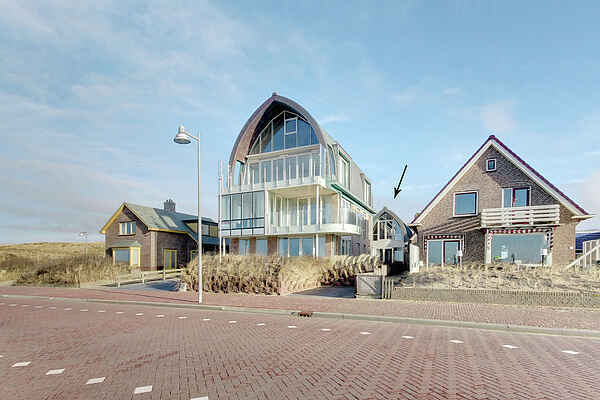 The detached 4-person Flatfish (NL-1931-01) and 4-person Sea Bass (NL-1931-02) varieties are both situated diagonally behind the small-scale apartment complex, allowing for equally beautiful views of the sea. NL-1931-01 is, because of the sofa bed, the type best suited to a maximum of 2 adults and 2 children. The Crab type (NL-1931-03) is a 6-person apartment located on the 1st floor. Large windows in the living room let you enjoy optimal views of the beach and the sea. Every type comes with a terrace or balcony with garden furniture.